I purchased PEARL in 1971. When I heard drummer Clark Pierson’s opening kicks and Ms. Joplin sing, “You say that its over baby, you say that its over now” I gulped and was willingly dragged into the magic that was her voice. Today whenever I hear the opening cut to PEARL I begin the smile in anticipation of a listening experience of the first water. Of course the original recording was pressed on LP and once in a while I still listen to this vinyl version, but dammit, CDs are more convenient. I own the so-called Legacy Edition. CD or vinyl, be sure to turn your volume to 11. 11 was one notch above her contemporary rock rivals. That’s the way Joplin seems to have lived her life and that is the way she sang, even in the most tender moments of Cry Baby. I can’t think of another song with such a cry or in A Woman Left Lonely, or in the hot Half Moon. She did have a great band, thank heavens for Full Tilt Boogie: Clark Pierson, drums; Ken Pearson, organ; John Till, guitar and Richard Bell, piano. I challenge anyone to name a better rendition of Me and Bobby McGee. It doesn’t exist, It can’t exist. And listen to Get it While You Can. She did. Admittedly, it cost her dearly, but I’ll be forever thankful for her commitment to every note. Her ability to express what she felt. 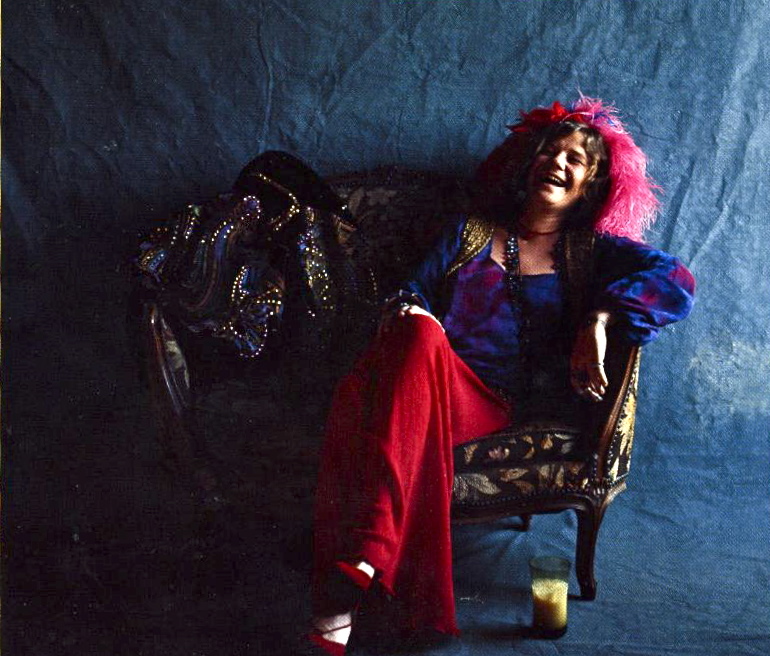 Sometimes I’ve tried, but I drew a line Janis Joplin did not. At least her testament to emotional honesty remains for others, singers or not. Today I would not think of myself as a big jazz fan. I once was. For the 1st fourteen years of my life I listened to the original Dixieland Jazz Band, Sydney Bechet, Lizzy Miles, Bessie Smith, and Louis Armstrong’s Hot 5 and 7. Armstrong’s recording of W.C. Handy’s music and the great recording Anbassador Satch were favourites. What a band. Trummy Young on trombone, Arvell Shaw on bass, Barney Bigard on clarinet, Billy Kyle on piano and Barrett (“the fastest drummer in the world”) Deems on drums . I then became interested in music with less formal structure. After college I played 12 years in symphony orchestras and reveled in the sound. In the 60s I listened to the Beatles (how many did not?) and Ravi Shankar. But jazz didn’t come back into my life again with any kind of seriousness until I hooked up with clarinetist Phil Nimmons, purchased a new release of his amazing early big-band compositions and did some improvising with him while I was in Nexus. And then on my most recent trip to Germany, a friend of mine played a Jacques Loussier (b.1934) Play Bach Trio recording, bassist Pierre Michelot, percussionist Christian Ganos. Formed in 1959, they were together for 15 years and sold more than 6,000,000 recordings of Jazz based on the music of Bach before disbanding in 1974. I felt old. I graduated from high school in 1957 and it took me 55 years to discover them. I’ve never liked arrangements of Bach’s music. Especially arrangements for marimba, glass harmonica, synthesizers, pop vocal groups, cats and dogs and, well, you get the idea. But Mr. Loussier is an artist of great sensitivity and taste, as well, he is in possession of a great technique, fluid and precise. 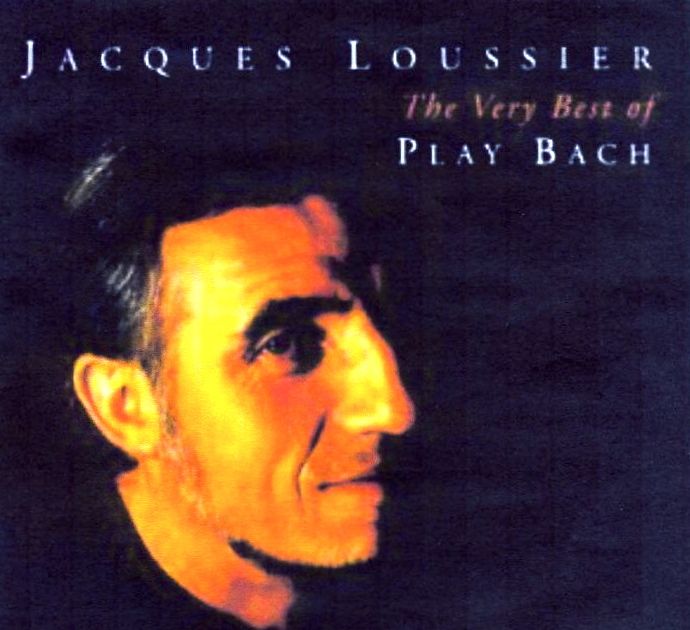 Loussier, himself a composer, obviously understands Bach’s music. He does not use it as a vehicle for self-indulgence. His escapades never fail to convince me of his or Bach’s artistry. During the last few weeks I have listened to this recording many times and it continues to delight. Bach was known as an improviser in the classical style. I think a concert of Bach and Loussier would have been a sell-out.